I remember being desperate for adult conversation after I lost my husband. He was my best friend and the loneliness was breathtaking. Who I was able to have a conversation with was up for debate after his death. Some people made me feel even more lonely because their presence reminded me of what I was missing. Some people allowed me to laugh at inappropriate things (widow humor) and I needed any laugh I could get. 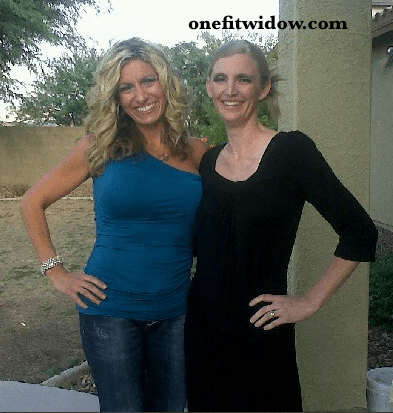 Widows became friends in significant numbers and that common bond was a lifesaver! My girlfriends were my rock in the first year. They dropped anything and everything to be by my side. Always there to help me with my kids, to let me laugh at really inappropriate things, and to take me out and let me have that much needed adult conversation. Usually our nights out revolved around dressing up and going out for dinner which allowed me to feel pretty and take away some of my terrible loneliness. I texted them 100x a day, trying to fill the void that was left when my husband died. There nonstop attention helped, but it did not fix the long term grief I was avoiding. I kept looking at my phone, waiting for HIS text which never came. One night, about 8 months post loss, my girlfriends decided to take me to dinner and then an upscale nightclub. I didn’t have an opinion either way about the nightclub, I was just glad to be getting out of the house looking like a grown up. showered and all. We walked into the club and I immediately felt sick to my stomach. This was not the life I had just a few months ago, and it became extremely apparent to me that this was not the life I was looking for. I was not ready to date, but yet in the back of my mind all I could think to myself was, “oh great, you go and die and leave me with this?” We walked in and got a table in the back and my body language was off-putting at best. We stayed for a short time and the longer we were there the more depressed I got. I had a very happy marriage. I had a very content life with an amazing guy and a undeniable friendship. Now I’m left with this? The longer we stayed the more I felt like I needed to run, and the more I wanted a shower because the entire situation made me feel nasty. All the looks up and down, all the glares, all the creepy smiles made me deeply sad. I never wanted that life. The grass was never greener over there, my yard was always fine just the way it was. Ironically that evening served as a lesson in my life (as most things do). That evening taught me to face my new reality, painful as it was, and it also taught me that living a happy life did not have to include another person. That’s the night I realized I had to find ME again. I had to be confident enough in myself to be in that situation and not let it depress me or define me. You see, my future didn’t need to include some sleazy guy from a nightclub. My future didn’t even need to include a guy at all. For that very moment my future only needed to include some peace and quiet so I could discover who I was now after 15 years of a blessed relationship. For the first time in a very long time – it was my time. It was time to face my widowhood, and it was time to accept the silence. Once I looked inward everything in my life begin to change for the better. No more running and no more hiding. I was a widow. I was alone. I was going to be okay.